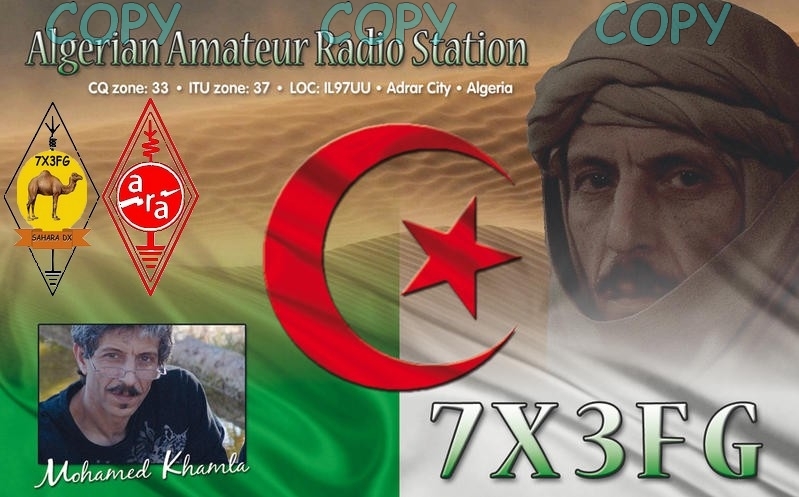 Mohamed, F6FZG is currently active from Algeria as 7X3FG. 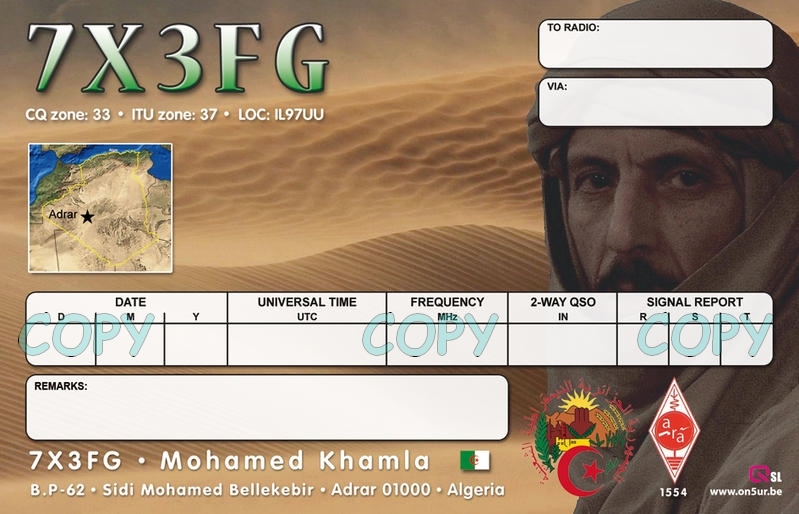 Mohamed Khamla, 37 Clos des Blaches, 38550 Saint Maurice I'Exil 38550, France. WAZ Zone - CQ 33.